At Starbucks Through Sunday 2-5 PM - Buy One Holiday Drink Get One FREE! You are here: Home / FREEbies / At Starbucks Through Sunday 2-5 PM – Buy One Holiday Drink Get One FREE! At Starbucks Through Sunday 2-5 PM – Buy One Holiday Drink Get One FREE! 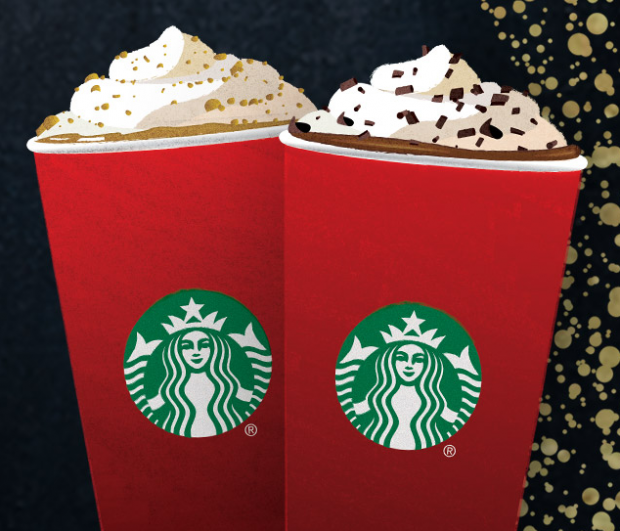 Stop in your local Starbucks to Buy One Holiday Drink Get One FREE from 2-5 PM Through Sunday 11/15!